Samsung Galaxy S10 is created under the name code Beyond . We know that they will be available in three versions. Koreans have recently announced the Exynos 9820 system . It’s a processor that will power upcoming flagships. In the meantime, we have out production of OLED screens has begun. In addition, we have pictures of the Infinity O panel. Samsung Display allegedly already produces OLED screens for the Galaxy S10, as reported by the Korean ET News. The cheapest version of the smartphone will get a 5.8-inch panel, which will be flat. Two more expensive phones will get curved screens. Pictures of the Infinity O panel are shown below. It’s a display that has a hole on the front camera. Koreans praised him during the SDC 2018 conference. Samsung has already finalized work on the hardware of new flagships . This means that the most important decisions related to Galaxy S10 hardware have already been taken. Some rumors, however, suggest that the Infinity O screen may not appear in all three versions. It would make sense, because the panel visible above does not seem to be curved, so it may belong to the cheapest model. Remember, however, that on the above pictures you may not see the screen for any Galaxy S10. It is possible that this panel is Infinity O for Galaxy A8s. 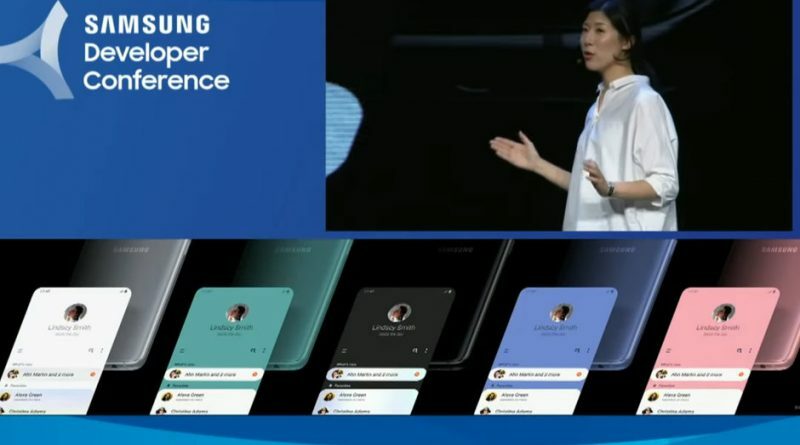 It’s a smartphone that was recently announced by Samsung during a conference in China . In this model, just such a screen is supposed to appear from a slightly lower price level.